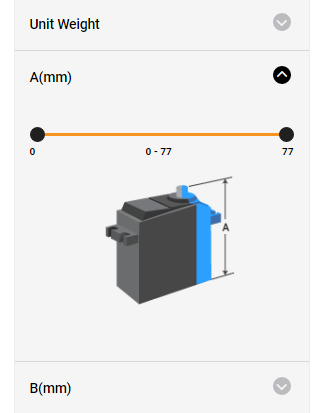 As the dimensions of different servos are really important, is it possible for the diagram _that used to be in the specifications section _showing_ the key to “a,b,c,d,e, and f” measurements_ to be brought back? It is still findable somewhere but you have to know where to look. I appreciate your help, but the thing is, it needs to be available in the Specifications Section of each servo. Customers shouldn’t have to search for the key diagram referring to the letters abcdef, and are meaningless without the key diagram. I know it's a bit of a maze at the moment which is why I am working on a set of filters that will make searching for servos sooooo much easier. When this feature goes live (hopefully within the next month), customers will be able to drill down to the nitty gritty (spline count, torque, weight etc) using various filters. Hope this helps, bear with us! Hi. I thing it would be great enough if you put the dimension picture as second picture from every servo. that would really help. I have to agree with Daniel - but, add the shaft spline count to the diagram as a notation in the upper left corner of the drawing. I have a hydroplane of my own design in the works, and why shouldn't I be able to evaluate 'at a glance' whether I can get a particular servo to fit? Hi guys. Sorry for butting in, but HK servos have a standard Futaba spline count of 25, unless otherwise stated on the product page. Not just sure for model-specific servos. But most, 25. Hope this helps. As a follow up to this thread - is this key diagram detailing the location of servo dimensions a,b,c,d,e,f available anywhere on the new web site? You can now use filters to find the perfect servo. These filters are still being updated and should be fully functioning in the next week or so. The diagram we previously had was very old and whilst it was handy, it didn't provide all of the necessary information to find a servo. I hope you find the new filters much easier to use. Is there anything I can help you with in the meantime? Thanks for improving the servo search filters. I look forward to seeing the results. By the way, the new site is nice. It feels more modern. I hope the final redesign will still provide the opportunity to enter the measurements A, B, C, D, E, and F because those measurements are usually the most important constraint. Having the diagram describing those measurements is important because without it, we can't tell which filter adjustments to make. I'm glad this forum exists, because I was able to find the information I needed here. Thanks to Daniel Langhojer for posting (April 2) the serve measurement diagram here in the forum. I’m the person who brought up this problem in February and have read all your responses. I don’t understand what the problem is to put that diagram on every servo entry. The dimensions of each servo are given, BUT your customers have to be able to figure out what they mean, as there is no diagram attached to the measurements! This is basic courtesy. 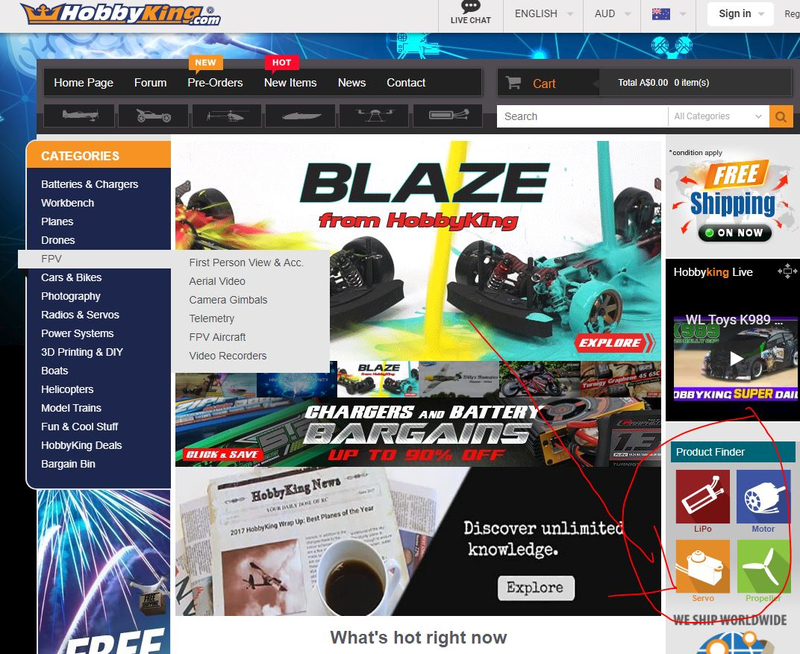 You give measurements - surely Hobbyking can show the diagram there and then, not expect us to search high and low for it! What is so hard? The Web Site has just been updated and does have a diagram attached to dimension. It would be great to have a diagram of dimensions of each servo for sale on hobbyking site. You’d probably find HK be selling more servo’s. Very useful, but not what we’re asking for. We want the basic reference diagram back on EACH servo so we can see all the dimensions that are given in the specs. And when u found your servo, now the misery begins to find the right spline size servo arm!!! 25T is nice but the size of the spline isnt mentioned anywhere. HK dont even sell the right arms for the 25T mini splines. I have bought like 3 different 25T alu arms that doesnt fit the spline, despite the recommendation of the "specialists" ! I wish KATY here could get this sorted and get some arms in the portfolio that will fit the mini splines!!! Thanks for the query, I am looking into it. Do you have some examples of servos with 25T mini spline? Any progress on this Hobby_Qween? The original question I mean. I did not see lead length in any of the above diagrams.